My name is Tyler Weinrich. I buy houses in OKC, then remodel them, and sell them or keep the homes as long-term rental properties. Sort of like the people on HGTV only I’m not famous, haha. I just finished up a project in the Village neighborhood and am looking for more houses to buy in that area over the next couple months. Do you have a home in the Village area or know anyone in the area that might want to sell a home???? 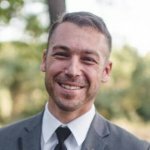 Where am I looking to buy houses at specifically? I’ll buy any house that fits within this map here. That is the Village neighborhood and some areas immediately around it. This goes for houses or lots in this area. What types of houses am I looking for? Anything in that area above that needs some amount of repairs or updates to it. For example, the last house we bought in the area had to be completely remodeled on the inside. Everything had to be redone from kitchen to bathrooms and even electrical. The house before that, it just needed a light kitchen update, fresh paint, and new flooring. What I’m trying to say is I want to buy ANY house in this physical location whether it just needs paint or a complete remodel. This goes for single family houses, duplexes, empty lots, and even buildings where 4 or more families can live. How would selling your house to me work? No fees, closing costs, or commissions – I will cover all of these! No repairs – you don’t have to repair anything. No cleaning – No dusting, scrubbing, mopping required when you sell to us. I also operate by a “take what you want, leave what you don’t” policy. Leave anything behind you don’t want! Extra time in the house after closing – I often work with folks to remain in the house for up to 30 days after closing to help with a move or finding a new home. I try to make selling us your house as easy as agreeing to a price and showing up to closing to pick up a check. I deal with the rest so you don’t have to…. 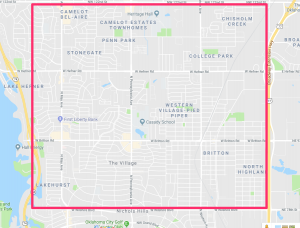 If you have a house you’d like to sell in this area or know someone that might want to sell, please call/text me at 405-673-4901. Or just fill out the form at bottom of this page and I’ll reach out to you instead.